Ian James in the No. 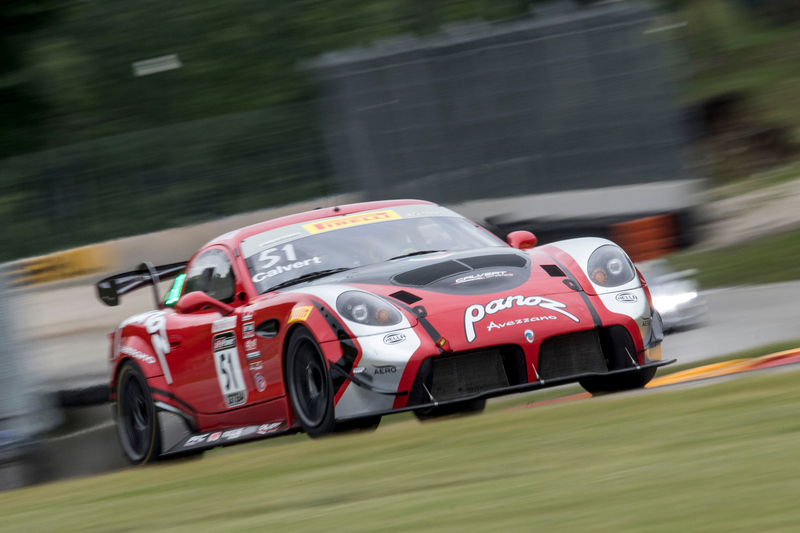 50 Panoz Avezzano led the race from start to finish in the fifth round of the GTS Championship. 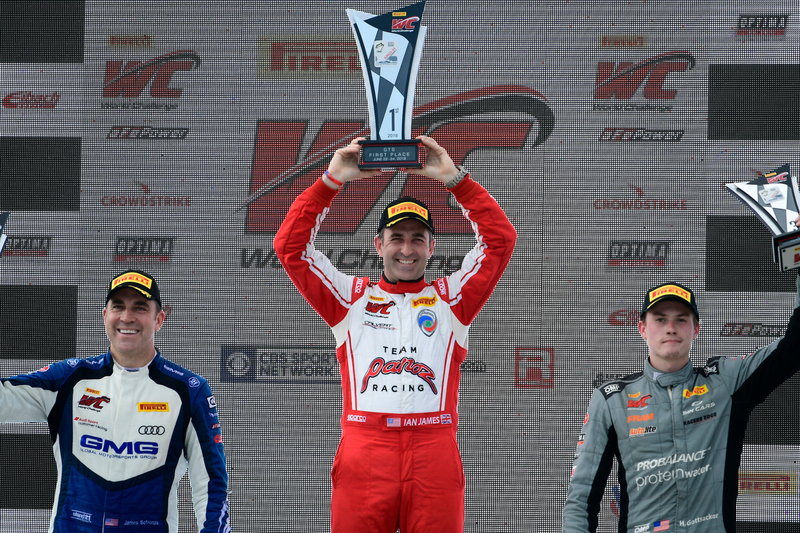 June 23, 2018, Elkhart Lake, Wis. – Ian James returned to Road America this week aiming to repeat the back-to-back victories with the No. 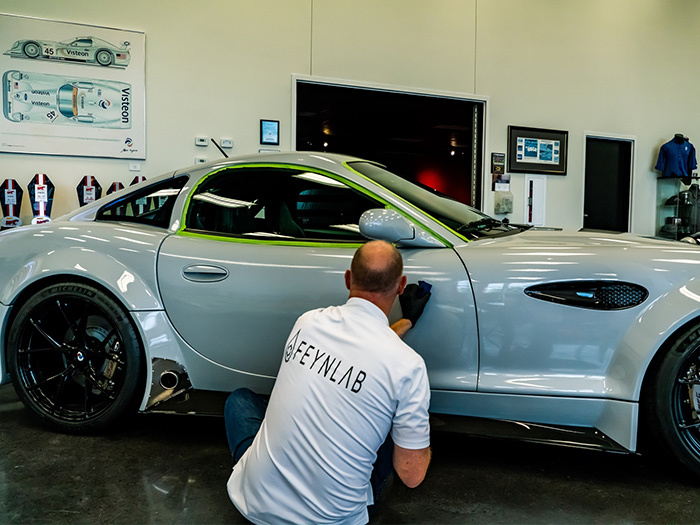 50 Panoz Avezzano that the team achieved in 2017. Today, he put the beginning of that plan in motion and took Team Panoz Racing to the top step of the podium for the second time this season. Earlier this morning, James put on an impressive performance achieving pole in just one timed lap with a time of 2:17.527, 0.291-seconds ahead of Jade Buford in the No.55S Ford Mustang GT4. With the qualifying session cut short due to an on-track incident, teammate Preston Calvert was not able to get the lap he wanted and qualified twelfth in class with a time of 2:21.204. Starting at the front of the GTS grid behind the fourteen GT cars, James held on to the lead throughout the 50-minute race. With three yellow flags, the race proved to be an incident-heavy but exciting race with lots of over-taking and good racing for the inaugural combined GT and GTS race. James managed to avoid all incidents at the front of the GTS class, but Calvert was not so lucky and was pushed into the wall, causing the second yellow flag about 20-minutes in. After a quick fix-up by the crew, Calvert returned to the track and got back to navigating traffic and managed to climb up the positions to finish the race in 15th. The team return to the track tomorrow aiming to follow up with a second win. James will start in third on the GTS grid, with Calvert starting in 12th. 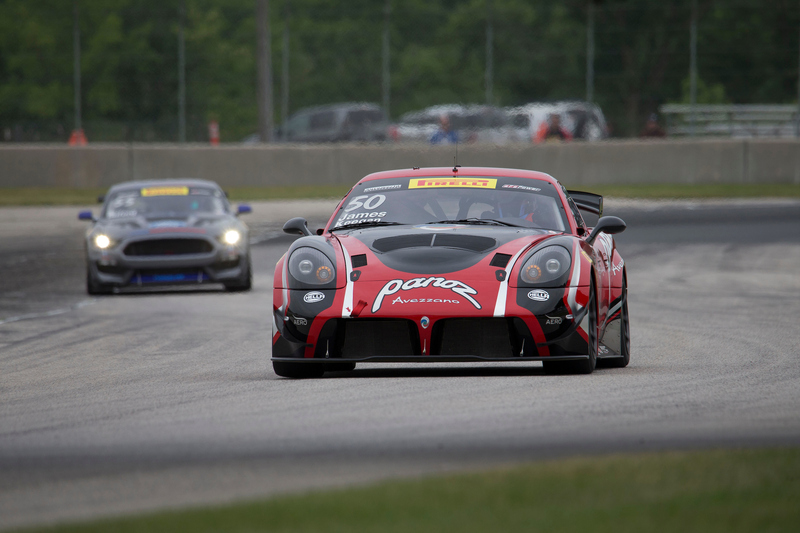 The sixth round of the GTS Championship starts tomorrow at 2:45pm CT. Please visit world-challenge.com for the most up to date PWC information, live streaming, and CBS Sports Network broadcast details.